Lucena “Lucylu” Sawyer is a beauty professional with experience in hair and makeup. She began her career as a self- taught makeup artist to a MAC Cosmetics Artist where she received training. 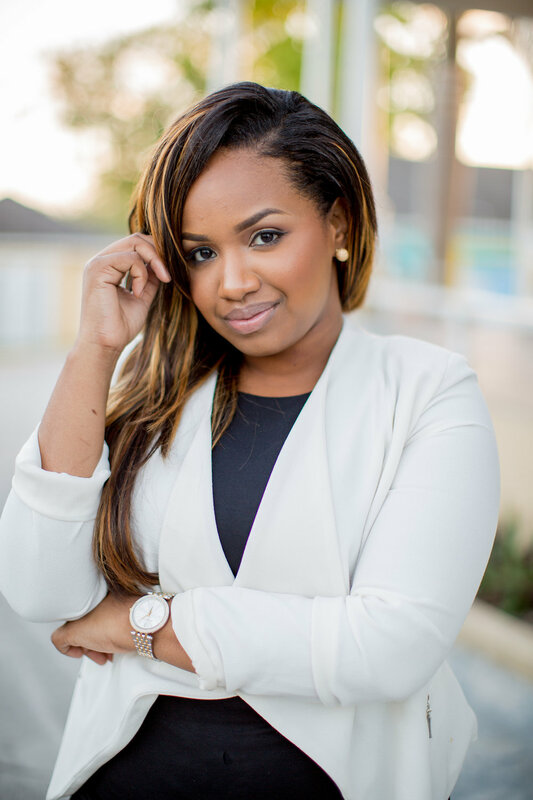 Four years and a cosmetology diploma later, she then moved on from being a freelancer to an entrepreneur, operating Lucylu Brides, a luxury bridal hair and makeup team providing services to local and international brides in the Bahamas. 2010, was the birth of her darling daughter and her beauty business. Lucylu was determined to find other ways to provide for her child using her God given talents. Beauty has always been her passion. As a child she was obsessed with the magazines at the checkout counters in the grocery store and would steal every moment to look through them while her mother did the shopping. Hoping to one day be able to create the hair and makeup looks she saw. Even to this day, she turns to Instagram as her daily inspiration board to be a becoming a better stylist. 10 years later, Lucylu is a sought after beauty expert who is continuing to build her bridal business empire. She prides herself in finding her clients’ best features and enhancing them to create the ultimate Lucylu Bride.